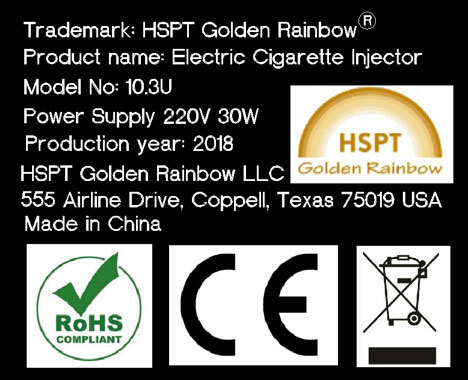 The HSPT Automatic Golden Rainbow 10+ Electric Cigarette Maker is made for personal usage normally 2-3 packs a day. 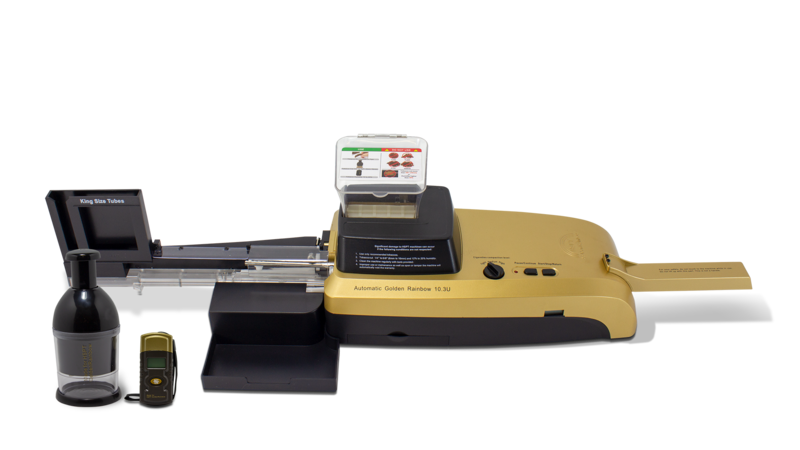 This electric spoon injector style machine makes exclusively King Size cigarettes with ease, speed and consistency. It is built with creative engineering and attention to quality and manufacturing. 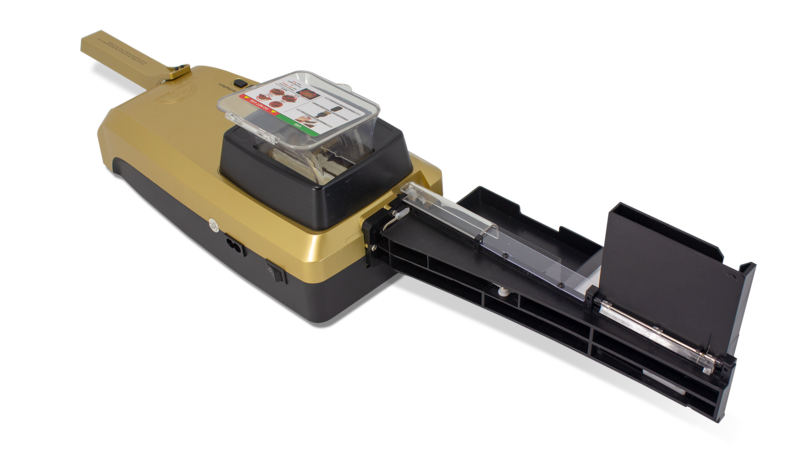 Simply load 10 cigarette tubes add your favorite cigarette tobacco in the hopper select a compaction mode, and then let the Golden Rainbow 10.3U do the job. 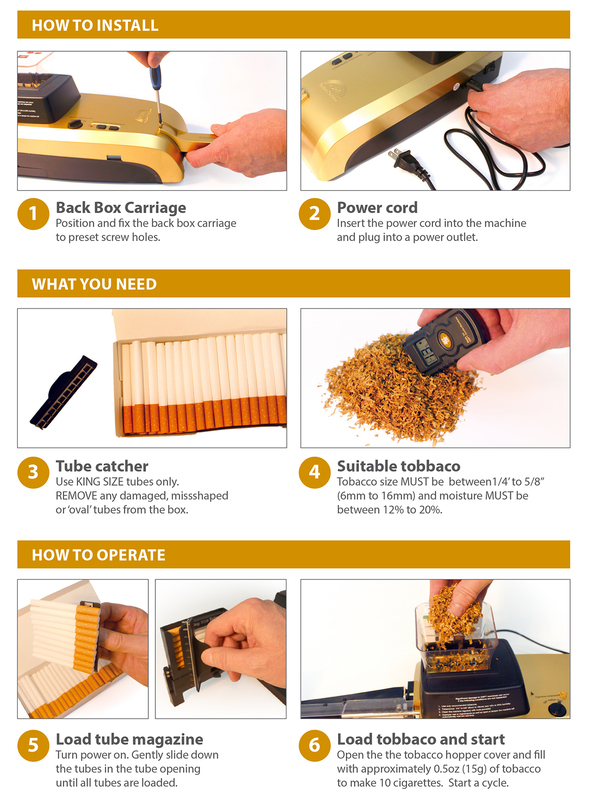 Useful accessories are included to help make perfect cigarettes. 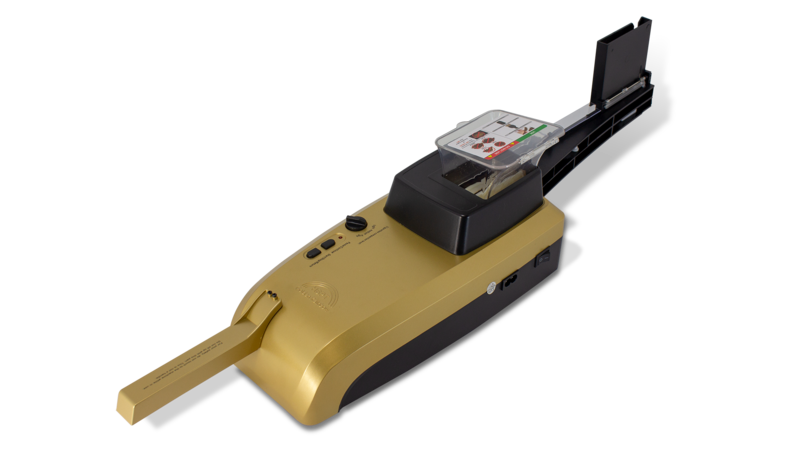 Every machine comes with a digital hygrometer for easy testing of tobacco moisture. 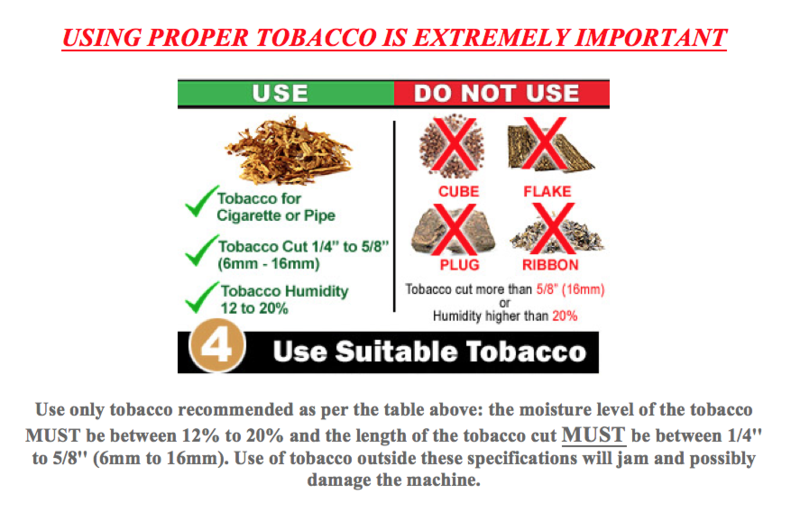 The machine is recommended to use tobacco between 12% – 20% moisture BUT ideally the closer you can get your tobacco between 16% – 17% you will have great success of rolling the perfect cigarette. Every machine is also equipped with an electric tobacco chopper. Please take the time by running your tobacco through the electric chopper before starting. You will not be sorry following these simple steps before starting your cigarette rolling. You do not have to register your machine on line for the warranty. Proof of purchase from an authorized dealer along with the machine serial number as well as the number of tubes digitally recorded will be required to have your machine repaired, exchanged or to get parts. 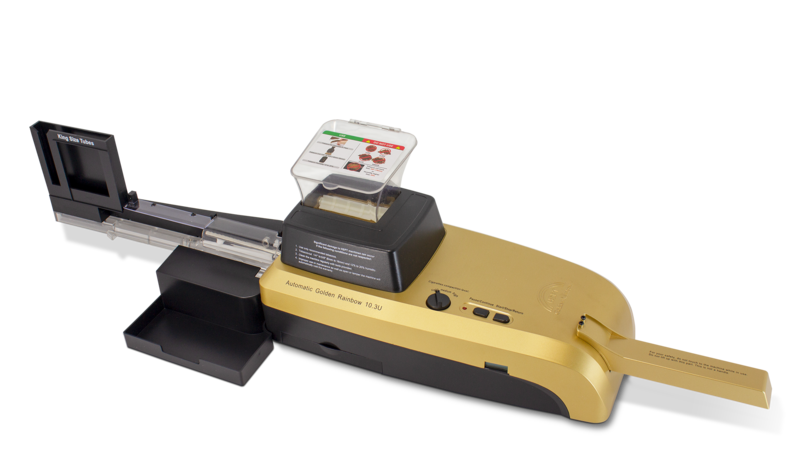 The HSPT Golden Rainbow has a 12 month warranty covering parts and labor from the date of purchase or 20,000 made cigarettes whichever comes first based on the counter reading. Within the first month of purchase, the machine could be replaced with a new one. 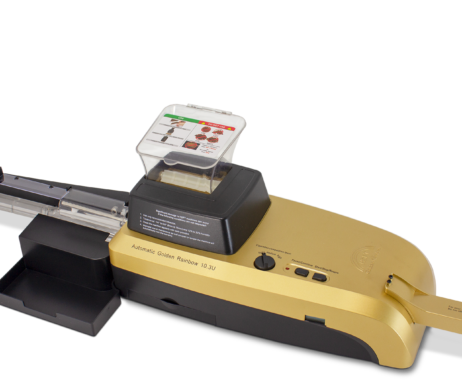 After that the machine will be repaired or exchanged with a refurbished tested one.